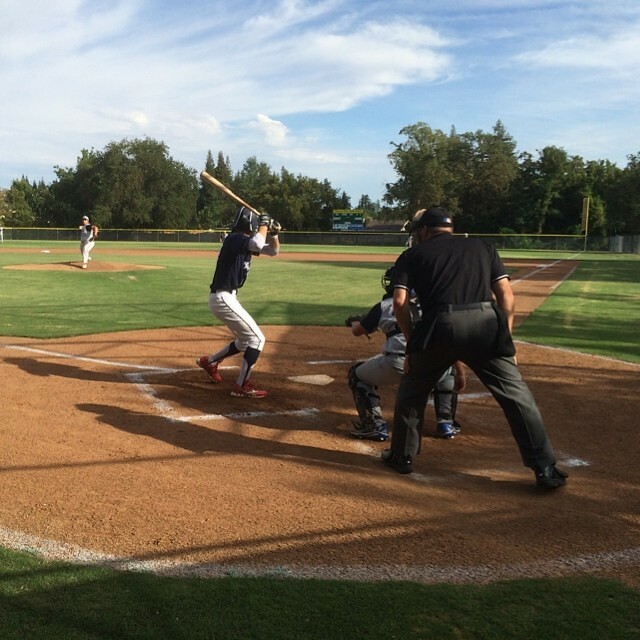 Tuning up for the tournament in Southern California this week, the Walbeck Elite team played the Walbeck Scout team. After pulling his groin almost a month ago, Jack finally appears to be back to full speed. Heading to a work dinner, I saw the first couple of innings of the game. Batting 8th out of 11, Jack was 1 for 2 with a single, a stolen base and a run scored. In his first at-bat, Jack struck out swinging on a 1 and 2 pitch from Petrucci. He lined a 3 and 1 pitch into right field for a single in his second plate appearance. Jack stolen second and then scored on Coop's infield single. Sharon said that he made an athletic slide at home to beat the relay from first. The Elite pitched seven different pitchers. Kyle gave up 2 earned runs on 4 hits in the fifth inning. The other six pitchers combined to give up one hit over six innings. The Elite won the game by the score of 4 to 3. The scorecard is here. For the summer season, the Elite have a record of 15 wins, 10 losses and 2 ties. The game log is here.